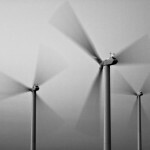 Photographer Robert van Waarden reports on wind energy in rural Czech Republic, as part of the Global Wind Day “wind energy stories” series. 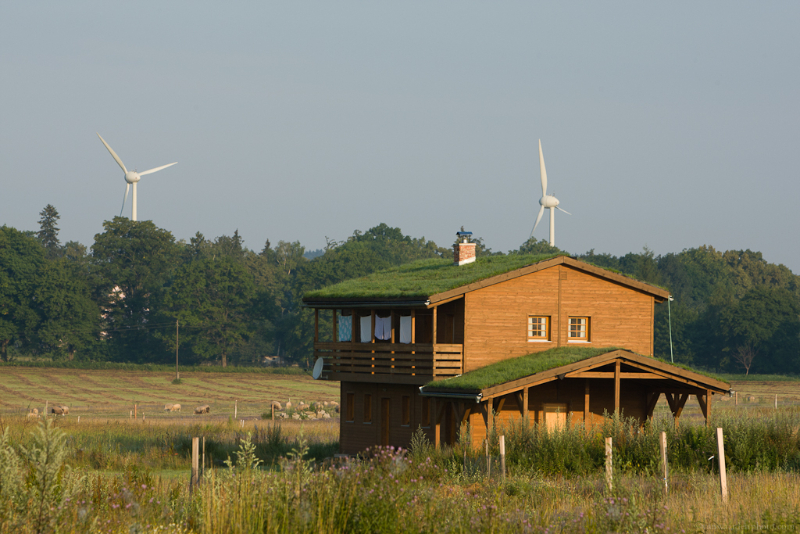 “I tried to change things on a national political level but I had to recognise that it wasn’t possible,” says Petr Pavek, leaning against his straw bale house. He gazes out on his property over-looking the little town of Jindřichovice pod Smrkem in the Czech Republic. 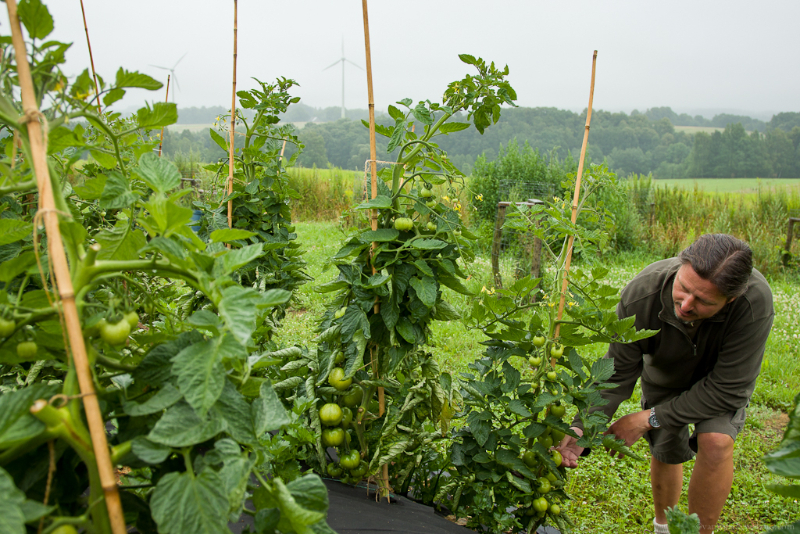 In the fields below organic vegetables grow, and cows for organic beef graze on the pasture. A totem pole stands next to his pond and a green roofed garage melds into the landscape. In the village a dog barks, and a lone car rumbles along the road. Jindřichovice seems like any other quiet town in rural Czech Republic. But from where Pavek stands, the view is drastically different. In the distance, two wind turbines lazily turn in the evening breeze. Beyond, eight sustainable houses stand in a row. Powered by renewable energy, these green-roofed houses were built to attract young people back to the community. When they were completed, over 100 applications poured in. The community selected eight families and sold the houses at cost price. 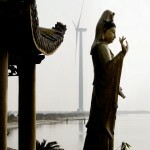 Hot on the heels of the news that Chinese wind power produced more electricity than nuclear last year, comes the announcement that China’s wind power production grew more than coal power production for the first time ever in 2012, according to statistics from the China Energy Council. Thermal power using mostly coal increased by only about 0.3% in China last year, the statistics noted, an addition of roughly 12 terawatt hours (TWh) more electricity. “In contrast, wind power production expanded by about 26 TWh,” according to a blog posted on the Energy Collective written recently about the statistics by Li Shuo, a climate and energy campaigner with Greenpeace East Asia. 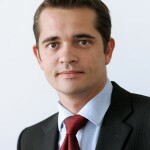 A dramatic shift has taken place for the fortunes of the global wind industry, when comparing it today with how it was just a few years ago, said Kjaer. If we take the last two years, we’ve gone from a seller’s market, if you look at wind turbines, to a buyer’s market, Kjaer told Rajgor. It’s very clear that globally there is an immense amount of over-capacity. We invested in production capacity in anticipation that the market would continue to grow dramatically globally, but it hasn’t. That means we’ve had a very dramatic change in the whole supply/demand balance in the sector, he said, and the change has happened very quickly. The result is that the cost of wind energy has come down, but at the same time the sector is facing challenges, aggravated by the financial crisis, which has meant banks are more reluctant to lend, he said. Did you know that 1.3 billion people in the world have no electricity? That’s the same as the entire population of the EU (500 million) twice over and the US (300 million) combined. We at international charity Renewable World are working on setting up small scale renewable energy micro-businesses to change the fortunes of some of the world’s poorest communities. 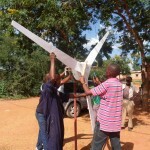 In the Tanzanian village of Songambele, Renewable World has installed a wind-solar hybrid project in which a 1kW wind turbine is helping to power an Information Centre housing books, mobile phone charging points and internet access. After a gloomy couple of years for the wind industry in France, a few glimmers of light have been spotted in recent weeks led by the adoption by the National Assembly of a bill proposed by the Socialist government to simplify measures that have been stymieing the development of the sector. To boost the production of wind energy in France, help develop other renewable sources of energy and generally encourage the shift towards clean and efficient energy, the government is proposing to weight consumer energy bills according to household consumption from 2016. It has also put forward a raft of measures aimed at making it easier to set up wind farms. The government proposal suggests a reward/penalty system for calculating consumer energy bills that will take into consideration the amount of energy used, the number of occupants in a household, geographical location, the type of heating system used and local climate conditions. The law also includes plans to facilitate the construction of small wind farms with fewer than five turbines. Under existing laws, onshore farms must have a minimum of five turbines. This decision is critical if France is to meet its target of 25,000 megawatt installed capacity by 2020, says French renewable energy group SER. 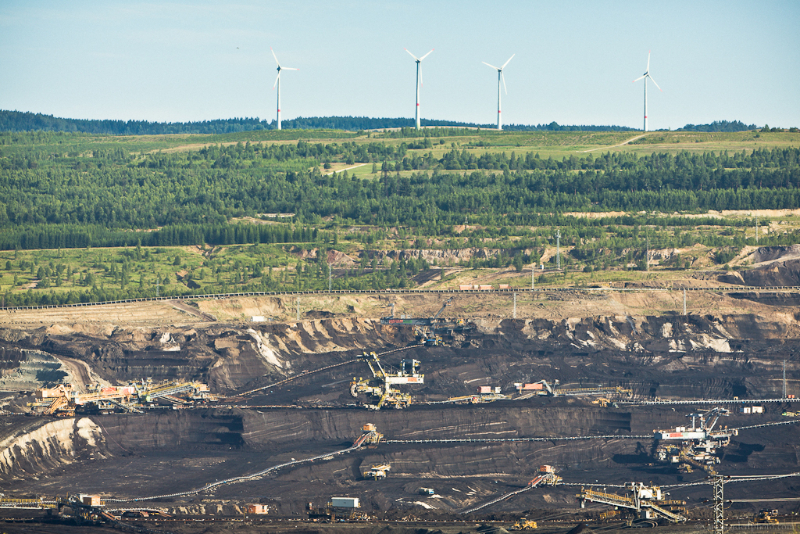 France’s total capacity currently stands at about 7,560 MW.